2009 had a busy start for Thomas Gold, with his first single of the year, a collaboration with Matthias Menck, “Everybody Be Somebody” topping the international charts. Thomas’ success continued when his anthemic remix of “Delerium’s” classic “Silence” dominated the Beatport chart and picked up the coveted Beatport Music Award for “Best Progressive House Track”. Thomas’ flawless talent as a producer has resulted in a string of massively successful single releases: “Don´t You Want Me”, “Everybody Be Somebody”, “Losing My Religion” to name but a few. His undeniable skill as a remixer has also seen him remix tracks for massive artists like Erick Morillo, Paul van Dyk, Roger Sanchez, Ian Carey, Antoine Clamaran, Alex Gaudino, Laurent Wolf and Peter Gelderblom. With this strength and quantity of material its no wonder Thomas has gained such a massive following amongst discerning clubbers, Labels and other DJs. His tracks are hot property with Axwell, TV Rock, Syke`N Sugarstarr, D.O.N.S., Dabruck & Klein, Stonebridge, Pete Tong and DBN all counting themselves as fans of his work. Always finding innovative and exciting ways to develop tracks, this talented and musically gifted producer’s music is filled with energy, soul and strength. Thomas’ deep devotion to music started early in life: by the age of 7 he had learnt to play the keyboard. And the rest, as they say, is history. Creative production skills, pioneering mixing talent and the interesting fusion of house and electro styles are why so many international labels are interested in this exciting artist, amongst others: CR2 (UK), Ministry of Sound (UK), Positiva (UK), Nero / Joia (Sweden), Vendetta (Spain), Cyber & Scorpio (France), Time (Italy), Ministry of Sound (Australia), Universal (USA), Egoiste (Switzerland). The magic you hear in his productions is just as evident in his DJ sets. The earthshaking basslines and cutting edge electro house beats tear apart clubs throughout the world as Thomas’ intuition sets dancefloors on fire and keeps the crowd rocking ‘til the early hours. So what gives Thomas the drive to work day and night the studio until the track is tight? 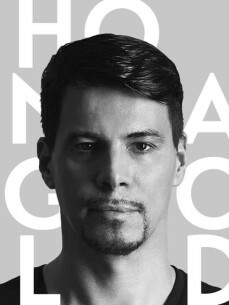 Thomas is constantly travelling around the world with his unique and distinctive “Golden TG Set“, playing is own productions and remixes. After a busy 2008, touring through Brazil, Indonesia and Australia, 2009 started with an impressive show at Queen, Paris where Thomas celebrated his birthday, followed by hot DJ sets in Miami and across Europe, tours through Canada and Brazil. It goes without saying that Thomas Gold is spinning in all of the hottest places around the world; Queen and Mix Club in Paris, Pacha in London, The Week in Sao Paulo and Rio De Janeiro, Fabrique in Moscow, Circus in Montreal, Peter Pan in Riccione, Passage in Vienna, Grodan and Solidaritet in Stockholm, Tank in Sydney, and of course on the white island, Ibiza, where he played at El Divino, Space and Privilege. Not forgetting the German venues, especially his residency at Munich’s finest house club “8 Seasons”. Alongside all Thomas’ live gigs, he also finds the time to do regular radio shows, like “Friday Nights” with KCB in Australia, “The Edge” with Maximus around the globe, RTSFM in France and Rise FM in Hungary. From the stamps in his passport it’s easy to see that Thomas Gold is growing as an international success and looks set to go from strength to strength.